Cathy McNeely O’Meara, originally from Boones Mill, VA (where some episodes of Moonshiners was filmed, she points out), has long been an animal lover and avid equine enthusiast. 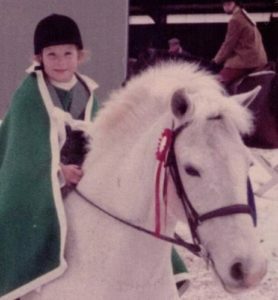 Cathy was involved with horses from a very young age; her mother was a show-horse trainer and had Cathy in the competition ring at just 18 months old. Growing up, “I was always the guinea pig for new, green ponies and horses to make sure they were OK for the lesson programs and summer camps … I got a real appreciation early on for keeping my heels down and my eyes up!” she laughs. When it came time for her to go off to college, Cathy specifically chose Virginia Tech as it had full herds (five species) that allowed for maximum hands-on experience. 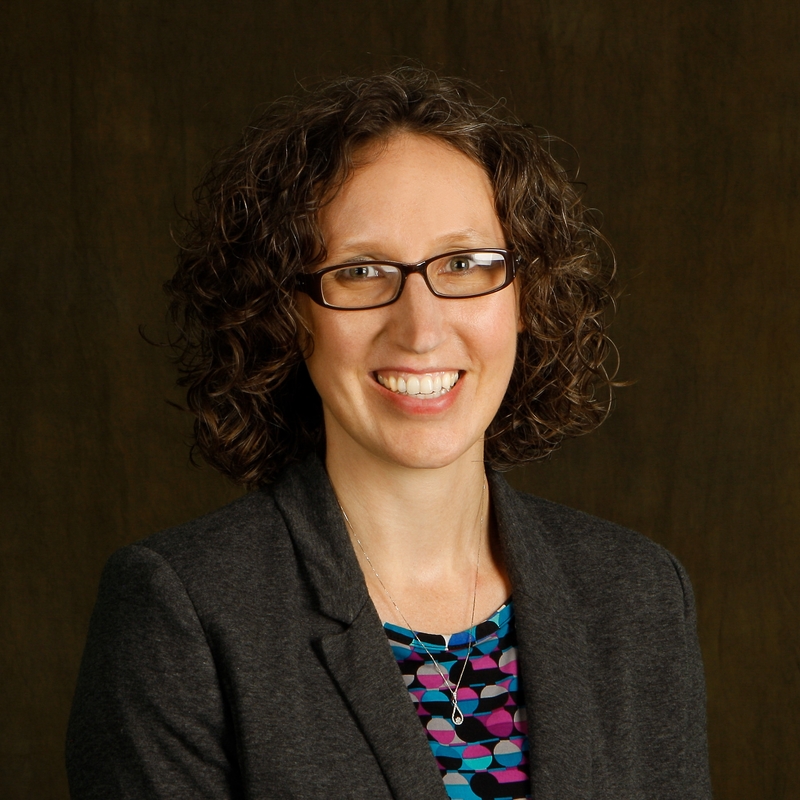 She graduated with a Bachelor of Science degree in Animal and Poultry Science and has since gotten an MBA in Information Systems from Sullivan University. Though always passionate about the horses, it wasn’t until deciding not to pursue veterinary school that Cathy stumbled across KEMI while doing an internet search. She knew she wanted to work in the equine industry, but didn’t know in what capacity. KEMI piqued her interest. Though Cathy and her mom had worked with many Thoroughbreds when they retired from the track, she had never dealt with them as racehorses. “I was excited to be trying something new” with the KEMI program, Cathy said. 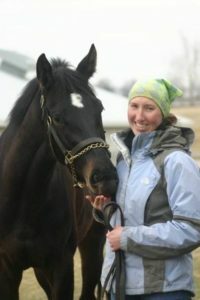 She looked forward to being exposed to many facets of the Thoroughbred industry through the program. This was an invaluable lesson that all KEMI students learn and it is one that has served Cathy well, both in her time in KEMI and in her professional career. 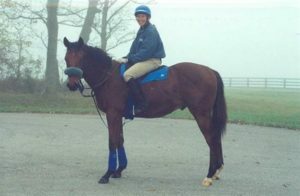 Placed on Pin Oak Stud, one of Cathy’s favorite parts of her time on the farm was morning sets. “Regardless of whether it was actually riding out a set or just long lining them, I love misty mornings at sunrise,” she explains. And there truly is nothing prettier than morning in the Bluegrass, working with Thoroughbreds! Though “I found out that farm life wasn’t my thing, I found a great appreciation for the industry and understand that all parts are equally important,” Cathy explains. KEMI, like any other quality educational program, is just as valuable for showing students what they DON’T want to do, as solidifying what they DO want to do. Exposing students to all the facets of the industry allows them to hone in on what they enjoy and don’t care for, working to ensure that KEMI grads’ future full-time jobs are ones they are truly passionate about. 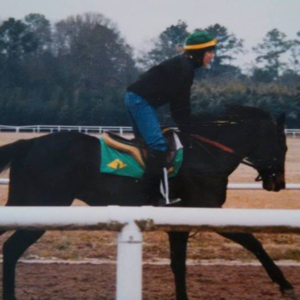 Cathy O’Meara at Pin Oak Stud during KEMI internship. Cathy encourages KEMI students to keep an open mind when they’re involved in the program, as there are myriad positions in the racing world, not all of which involve training or management. “Just because one area [of the equine industry] may not interest you, keep networking and trying new areas. Hard work is key and respect for your managers is paramount. Don’t hesitate to ask questions and always keep learning,” she advises.